Hello! After last week's disappointing start, I'm very grateful that this week is already looking better! The dog is finally better and, just as importantly, I have a new laptop to work on. Try as I might, I just couldn't get anything done on my mobile or six year old tablet! Now its just a case of trying to remember all the different links I had saved for work, blogging and various other things! I must say though, its quite nice using a new laptop that's all clean, so to speak, and organised but we all know it won't last! 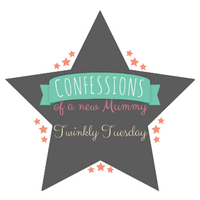 This week's Tuesday Twinkler post comes from Dirt Diggers and Dinosaurs. 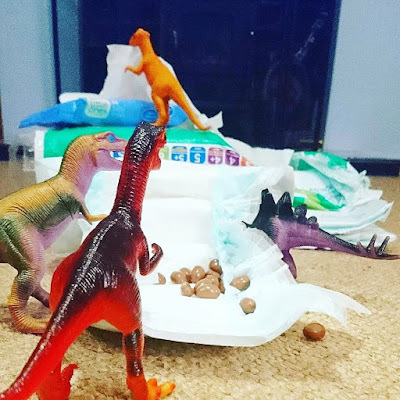 With two boys and a newborn baby, quite honestly I'm in awe as to how Emma is juggling everyday life as well as throwing Dinovember into the mix! If you're wondering what the hell Dinovember is, its a similar concept to Elf on the Shelf but with Dinosaurs.. and in November! Emma has shared some fab ideas which I am sure I will be pinching in some form for when our Elf visits! My old faithful laptop died last week, so I'm going to be going through a similar adjustment soon. In the meantime, I'm using an unfamiliar laptop, and feel as if I'm always looking for things!